Kambiz – Exclusive mix for bejbi.se. The thirteenth of our series of exclusive mixes..
Click ”see the rest of this entry” to read more about Kambiz and download the mix. Kambiz started his DJ-career back in 1994, playing at different local schoolparties and private parties, he rapidly learned the skills of DJ:ing, starting with very basic equipment he further on upgraded to more reliable and up to date gears and he got more and more gigs. Now has 16 years passed and he is now recognized as a very talented DJ. 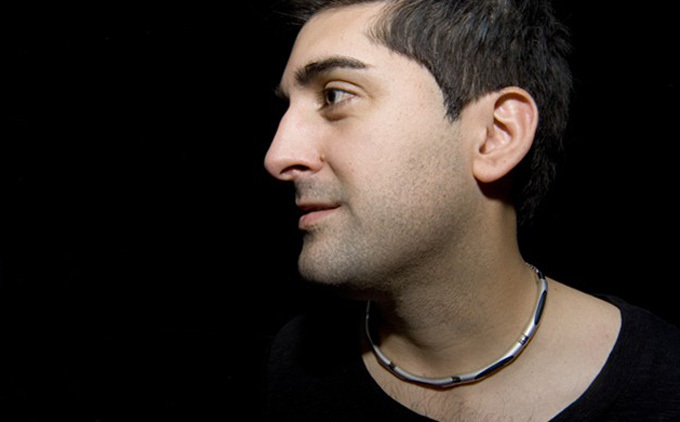 Playing vivid precision sets with a unique style of blending genres, he is mostly recognized for his progressive style and mostly operating within the mainframe of progressive house and trance. Things really took off 2007 when he cofounded Club Ambition with his partner in crime Nick Sinner. Ambition was going to be the turning point for him and many other fellow DJ:s, since he, among many others, suddenly got the chance to be discovered by a wider audience beyond Ambition. The next turning point, was a blessing in every way possible, since none less than the leading promoter in Sweden, MondayBar, offered him a timeslot to play at the legendary MondayBar Black&White Cruise 2007. Amazed and thrilled by the response and the fact of being recognized things only got better. When other promoters, club owners and agencies rose attention and several bookings followed. He now has a podcast with his friend Tatsumi Suzuki (whom we know from an earlier bejbi exclusive mix) called Podgressive, a podcast which combines the unique styles of them both to a fine blended two hour show. Now he is the thirteenth out for a series of exclusive mixes recorded for bejbi.se by our favorite dj´s, both well known, and unknown, that we will publish once a week untill we run dry. Download Kambiz´s Exclusive mix here (right click and save as) or listen to it live on Soundcloud or just press play below here. If you want more of Kambiz, check out his podcast, Podgressive, for more info.